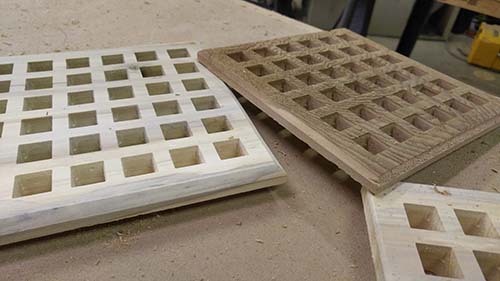 Our CNC machining services enable you to create your application using whichever material you desire. From wood, aluminum, acrylics, foam, paper and much more we can work with applications up 12 inches thick, 60 inches wide and infinite length capacity. 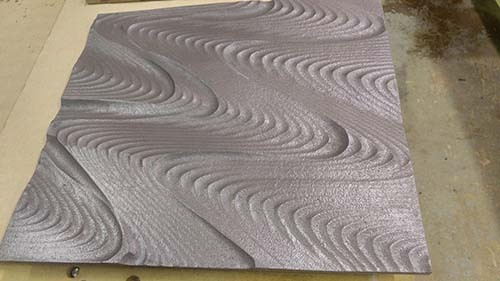 Approached by an interior designer we worked to come up with a process to supply custom 3-D ribbon panels which could be installed like tile and back-lit for a stunning interior lobby accent. 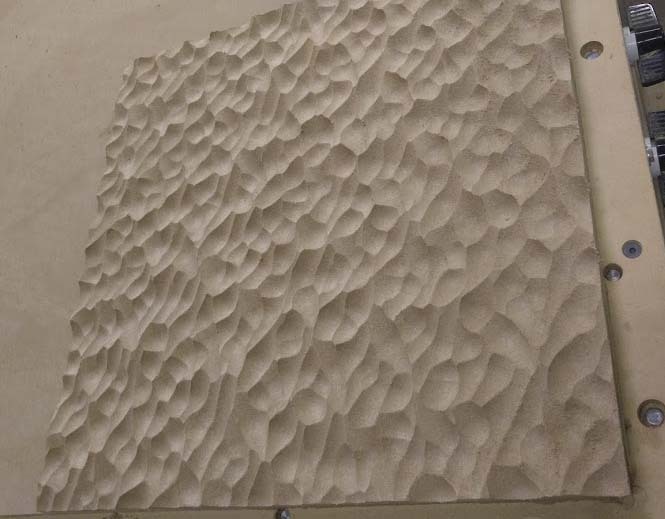 One-of-a-kind 3D texture panels for decorative use as well as sound attenuation. 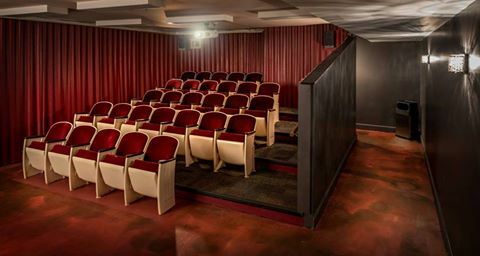 Integrate a mixture of custom designed materials for both frameless and face frame cabinet construction or wall treatments to create a unique look for any application. 60" x 100" single setup 3-D machining in many substrates. Foam, wood, acrylic, solid surface, foam core, paper, plastics, aluminum, non-ferrous metals, you name it. We pride ourselves on a quick turnaround. If you would like to have a project quoted please send us a note and we'll follow-up to discuss the details.